There has been something different about the Seahawks over the past few weeks. Their early season faults was not a surprise, but the way they, as a whole, have collapsed in the second half of the season is astonishing. Their losses, which have been in crucial, playoff-implication games, have been complete and total defeats. Their loss to the Jaguars hurt, but the 42-7 embarrassment against the Rams AT HOME seems to have put the nail in the coffin for the 2017 campaign. I cannot tell you how much pain that puts me in to say. Earl Thomas said he didn’t think Bobby Wagner should have played on an injured hamstring, and Bobby Wagner came right back. These are our stars, and supposedly good friends. Now they are going at it on social media? It just feels like that chemistry they once had, the fun they had on the field, is dwindling down. Maybe that’s because secondary leader Richard Sherman isn’t around to keep everyone in line (people seriously underestimate his leadership abilities on the field), but Pete Carroll has to have a clue what is going on. I pray he did something about this in practice this week, because if they are to make the most of that 13% chance, then these two star players need to have a clue. There has also been the consistent physicality on the field with fans and opposing teams. 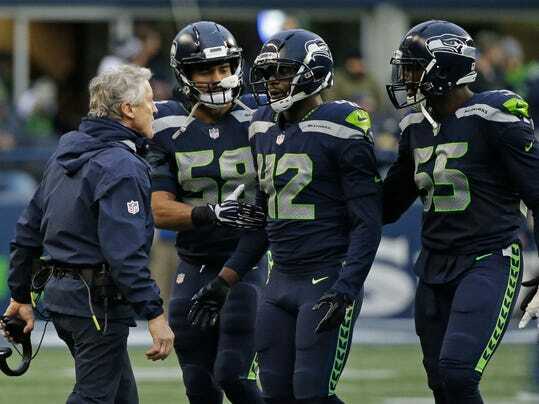 Pete Carroll PREACHES energy and passion. It is the number one thing he looks for in players, and a big reason why he and GM John Schneider find so many undrafted free agents that turn into stars. He looks at them as people, not as players. But the drawback of that is when passion turns to anger, and the appearance of being a “sore loser” is projected to the public. 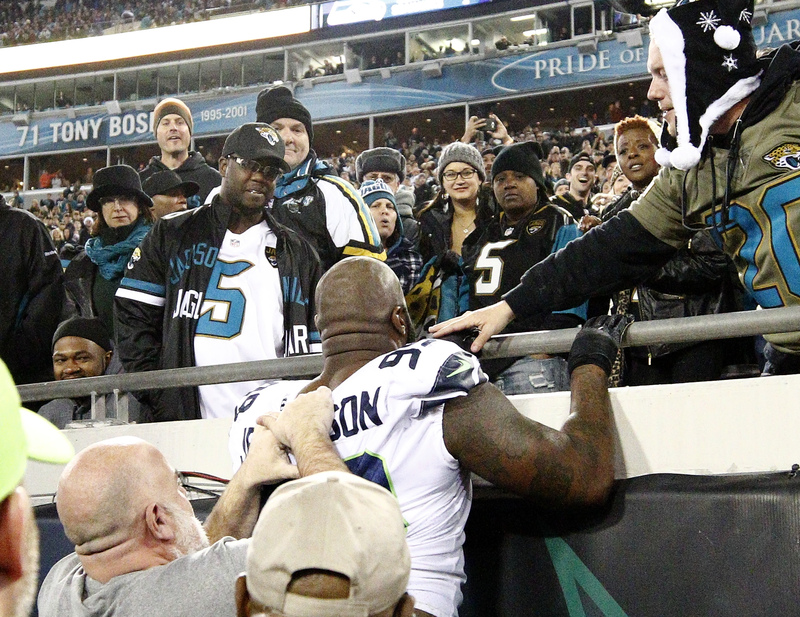 DL Quinton Jefferson tries to come into crowd after fan throws a drink at him. While he has 1000% the right to be furious, you have to understand after a tough loss, the public is going to label you an angry, sore loser. And just another fight to add into the mix. From a team standpoint, it looks horrible. 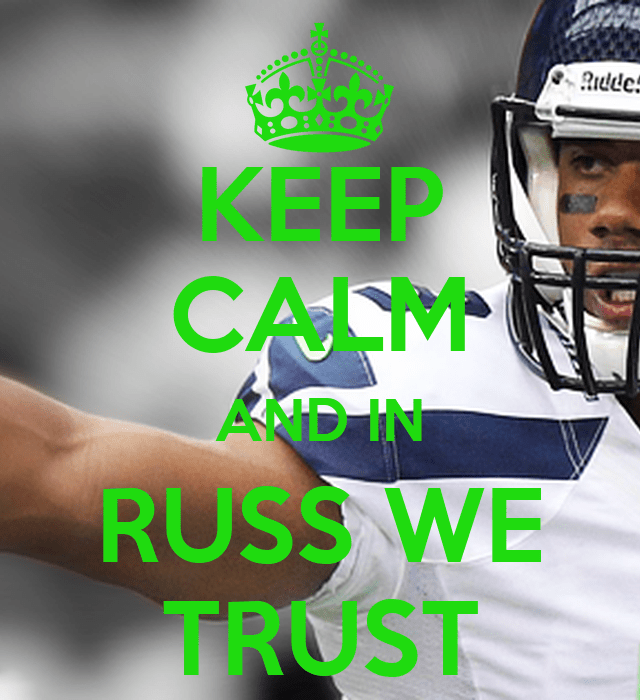 The Seahawks have always had a bad rep, but this just adds fuel to the fire. So while the Seahawks playoff chances are minimal, I would like to see them go out with some class at the end of this season. We have reached the beginning of the end for the 2017 season, but I feel that we still have a very strong team with a big championship window. We patch up a few holes (trade up for Saquon?!?!?! ), figure out some depth, get healthy, and find a way to start better in 2018. No need to drop everything and rebuild, we just have to hop out of the middle of the pack and find a way to be elite again.